The 29 Faces are back! Yay! This February is going to be quite busy for me for various reasons, so I don't know how many faces I will manage. I'm already behind since I was travelling back to the UK from States on the 1st. 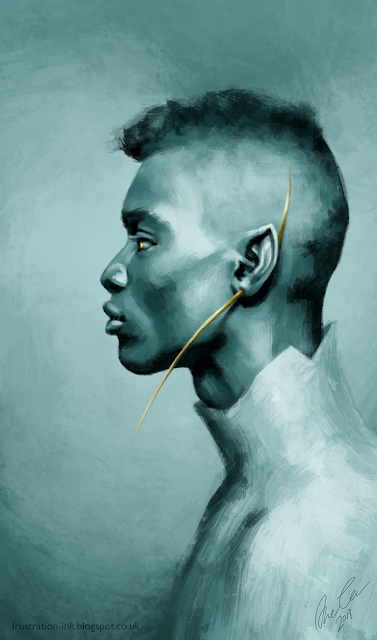 But here is face number one, an elf in hues of blue. Happy Black History month.